Audi said it would begin taking orders online for the all-electric E-tron utility vehicle on Sept. 17, the same day as its production unveiling in San Francisco, Calif. A $1,000 deposit will be required, after which customers will be able to track when their vehicles will be built, shipped and delivered, beginning in early 2019, the automaker said. 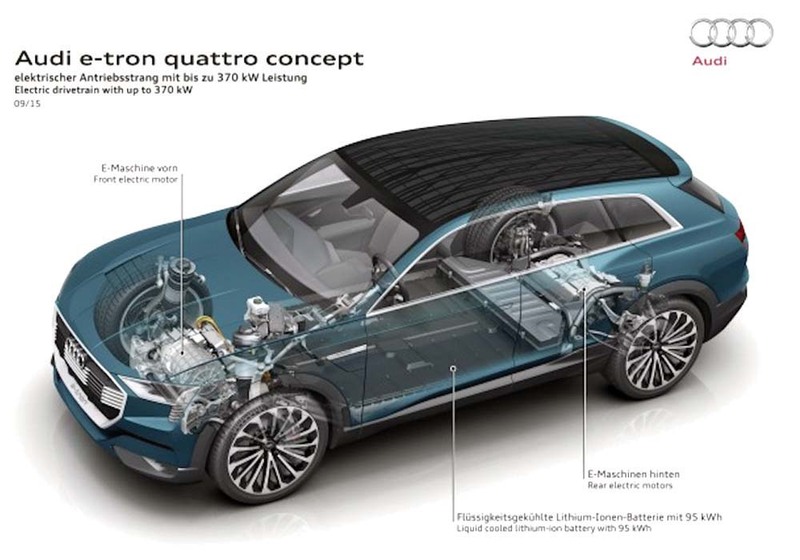 Final specifications for the E-tron, including range, will be released at the unveiling event, but alternative-vehicles webmagazine Green Car Reports said initial estimates for range are about 250 miles. It will be the first mass-produced electric vehicle with available 150-kilowatt direct-current (DC) fast charging, which the automaker said can recharge to 80 percent capacity within about 30 minutes.